The starting time of the ranking tournament had already arrived, yet Absolute Monarch Sanctuary's seat was still empty. Feng Hengkong did not declare the start of the Ranking Tournament here and now, and instead stared at the sky above… If the other three Sacred Grounds came late, he could choose to not wait, but for Absolute Monarch Sanctuary, he had to wait. Without making Feng Hengkong wait for too long, an aged yet peaceful voice, distantly came from the skies above. The voice was illusory and lingering, as if it came from the end of the horizon. At the same time, a gentle yet boundless aura descended from the sky, enveloping the entire arena. This aura that was rich and dense to the extreme, made one instantly think of the ocean, the cosmos, the abyss… Endlessly vast, majestic without limit. “Monarch!” In Yun Che’s mind, Jasmine’s voice that carried a slight hint of surprise came. Yun Che’s mind instantly shook. Monarch!? The person who has come, was a Monarch!? Sacred Ground letting a Young Hall Master come, was already extremely unusual… But why would they actually send a Monarch! In the Profound Sky Continent, Divine Profound Realm was a myth-like existence, rumored to be an illusory realm that humans simply could not reach. Sovereign Profound Realm, was then the highest peak of this world; a Monarch, was fully deserving as the greatest sovereign ruler in the entire Profound Sky Continent! And Monarchs, also only exist within the Sacred Grounds and Divine Phoenix Empire. Even in the Sacred Grounds and Divine Phoenix Empire, they were exceedingly rare. At this Seven Nation Ranking Tournament, Yun Che could be considered as having finally widened his horizon at last. Even though they belonged to the same continent, Divine Phoenix Empire and Blue Wind Empire were like two entirely different worlds. At Blue Wind Nation, Thrones were already the limit that could not be surpassed. But here, Thrones were all over the place, Overlords ran amok, and now even a Monarch had actually appeared! A silhouette also slowly floated down from above. This was an elderly man in a light yellow robe with a horsetail whisk in hand. With white hair and brows, the air and disposition of a celestial, his face gentle, as though a taoist celestial who was about to ascend to the heavens. When the other three Sacred Ground’s people came, Feng Hengkong only stood up to greet. But this time, Feng Hengkong directly left his seat, and greeted forward with hurried steps. Behind him, Feng Feiyan and the crowd of elders also left their seats and followed in succession. “So that’s how it was. To able to be taken in by Spiritual Master Ancient Blue as the last disciple, your honored disciple must possess an extraordinary aptitude. Spiritual Master Ancient Blue, please.” Feng Hengkong extended his hand, gesturing at Absolute Monarch Sanctuary's seat. As Ancient Blue entered his seat, Ling Kun, Ye Xinghan and even Ji Qianrou all stood up, and respectfully conducted a rite for juniors toward seniors in dead seriousness. This action, invoked Yun Che’s thoughts. Spiritual Master Ancient Blue’s status at Absolute Monarch Sanctuary, could be somewhat deduced from this. Everyone of the Four Great Sacred Grounds were also all present now, as the site had also become entirely silent. It was finally time for this Seven Nation Ranking Tournament to begin. 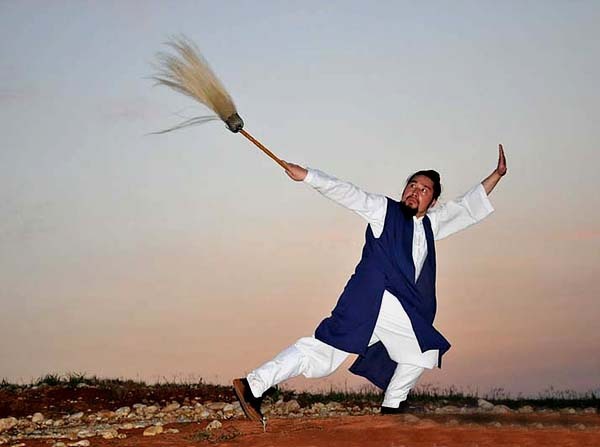 Following a meaningful glance from Feng Hengkong, the Great Phoenix Elder Feng Feiyan took off into the air, and flew until he reached the arena’s center. An awe-inspiring and resonate phoenix cry exuded from his body. Following that, flames that surged to the skies explosively burned up, and shot up to until over one hundred meters in height, making everyone’s gaze fixedly focus onto him without exception. “Wah! It’s actually personally hosted by the Great Elder. Hm? That’s odd! Why would it be hosted by Great Elder?” Feng Zhanyun said with a suprised expression. Clearly, he didn’t know that Great Elder would personally host this Ranking Tournament beforehand. Even if someone told him beforehand, he probably wouldn’t have believed it. Because in the past, the Seven Nation Ranking Tournament was at most hosted by a low rank Elder. “Could it be that there is something special about this Ranking Tournament?” Feng Zhanyun said in a low voice. Other than the Grand Generations and Princess Snow, Feng Feiyan’s status in Divine Phoenix Sect, was almost second to only Feng Hengkong. Even Crown Prince Feng Ximing, would need to act very respectfully in front of him. Letting him personally be the host of this Seven Nation Ranking Tournament, made even the few from the Sacred Grounds revealed slight surprise. The audiences in the seating area more so held their breaths, and looked at Feng Feiyan in an respectful and admiring manner. The voice resounding beside their ears, every word was thunderous. “The Primordial Profound Ark had always appeared at my Divine Phoenix City’s skies, and throughout history, only us Divine Phoenix Empire possessed the right of exploration as well. But this time, Sect Master’s heart is generous and broad, and is willing to scale the Primordial Profound Ark with friends of the six nations, and share the mysteries of Primordial Profound Ark. In this session’s Ranking Tournament, the top three in rankings may choose three people each to explore the Primordial Profound Ark together. Even though it was top three in rankings, everyone knew that the first would unquestionably be Divine Phoenix Sect. Therefore, people of the six nations with the fortune to enter the Primordial Profound Ark, would at most be six people from two nations. “Hm?” The brows of all of the people from Sacred Grounds shifted. “Four days in advance? Which is to say, Primordial Profound Ark will open as soon as tomorrow?” Ye Xinghan said in a low voice. The moment Feng Feiyan’s words were spoken, the entire arena became turbulent. They all understood the words, the Primordial Profound Ark would open ahead of time… And at the same time, this session of Ranking Tournament would be compressed into a single day… Which meant that it was to be concluded today! The match schedule would at least last for five days for every Ranking Tournament in the past, without any exception. Between the contending seventy tip-top young experts coming from the seven nations, every single round would need to be fought in round robin. Previously, even five days of matches would be scheduled fully, and situations of the tournament’s schedule extension would often happen. In the time as short as a day, it simply could not be done. The expressions of those participants, as well as each nation’s Emperor and hegemons all changed greatly… Seven Nation Ranking tournament was a great matter of an entire country; the results of the rankings, were connected to the position and prestige of the next twenty five years of a nation. For this Ranking Tournament, every single nation could prepare with all their might several years ahead of time, and rare treasures accumulated for over twenty years would all be used without being stingy in the least… For those young participants, this Ranking Tournament was more so the highest stage for them to perform, the greatest chance to spread their name throughout the world! If the previously five days of match schedule were really to be condensed into a day… The time for them to perform, would unquestionably be compressed by an entire eighty percent! This kind of discrepancy, how could they be willing and satisfied? And the spectators numbering more than three million who obtained the qualification to enter the arena through great pain, they originally would have enjoyed an entire five days of the pinnacle’s battle, yet all of a sudden only one day was left, they naturally were extremely unthrilled as well. “No wonder the Great Elder was needed to personally host.” Yun Che muttered to himself in a low voice: “So it was to suppress the situation that may possibly happen with the awe of the Great Elder. If the match schedule is shrunk down to one day…” As he muttered till here, his brows suddenly twitched as a feeling that was anything but reassuring emerged in his heart. Feng Feiyan’s words, made everyone reveal a stupefied expression… The match schedule being compressed from five days to one, yet it would be more fair?